News Corp. and 21st Century Fox, the separate media giants controlled by Rupert Murdoch, have taken a big step toward possibly moving to the World Trade Center, reports the New York Post. 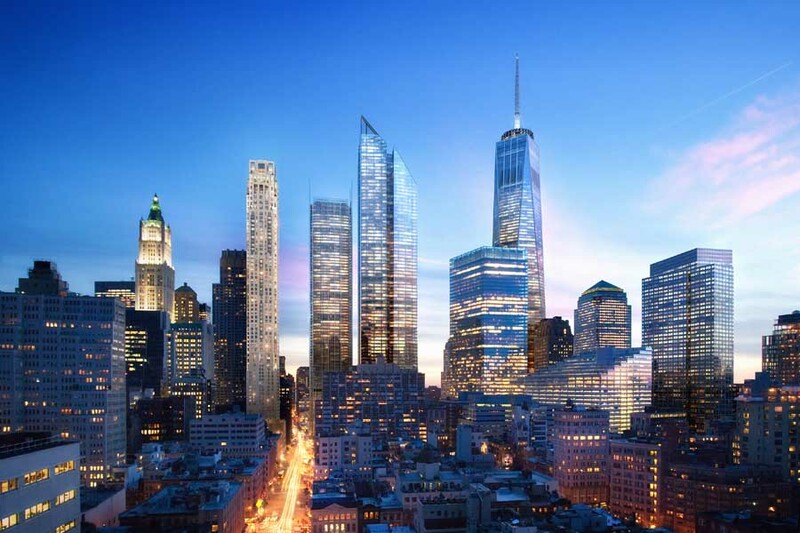 The two companies on Tuesday signed a non-binding but detailed letter of intent (LOI) with developer Larry Silverstein to anchor 2 World Trade Center, the media firms confirmed. 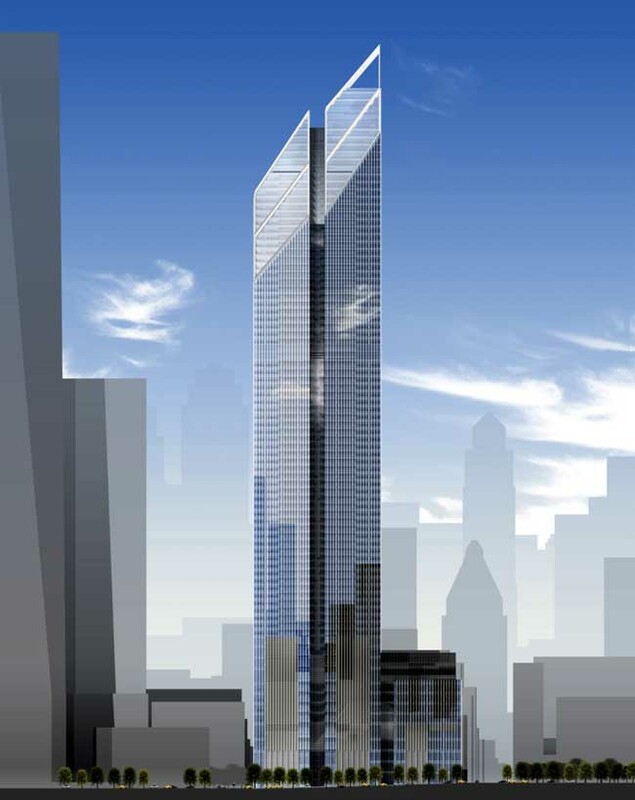 The 80-plus-story skyscraper would complete a quartet of new jumbos built to replace the Twin Towers’ office space destroyed on 9/11. 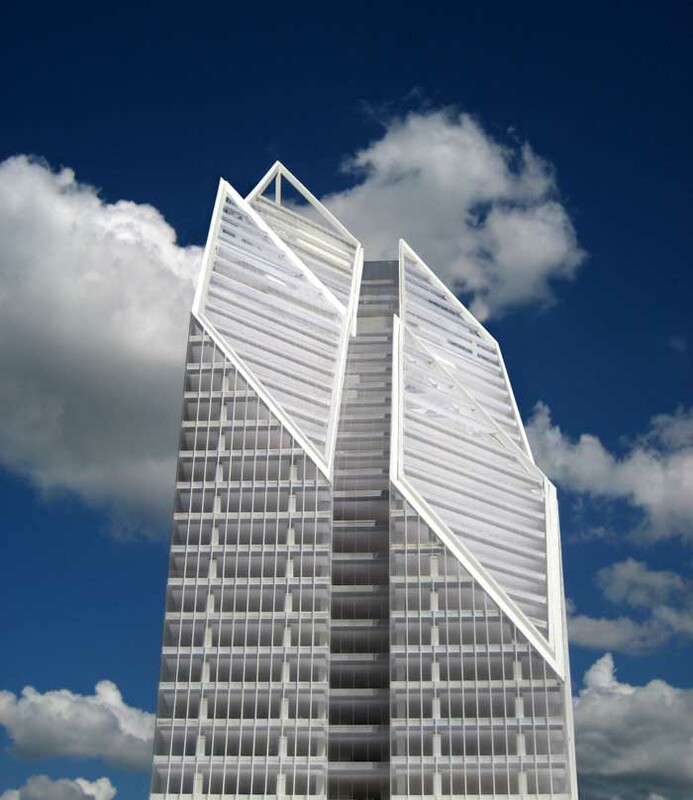 The agreement is tentative and no final decisions have been made. 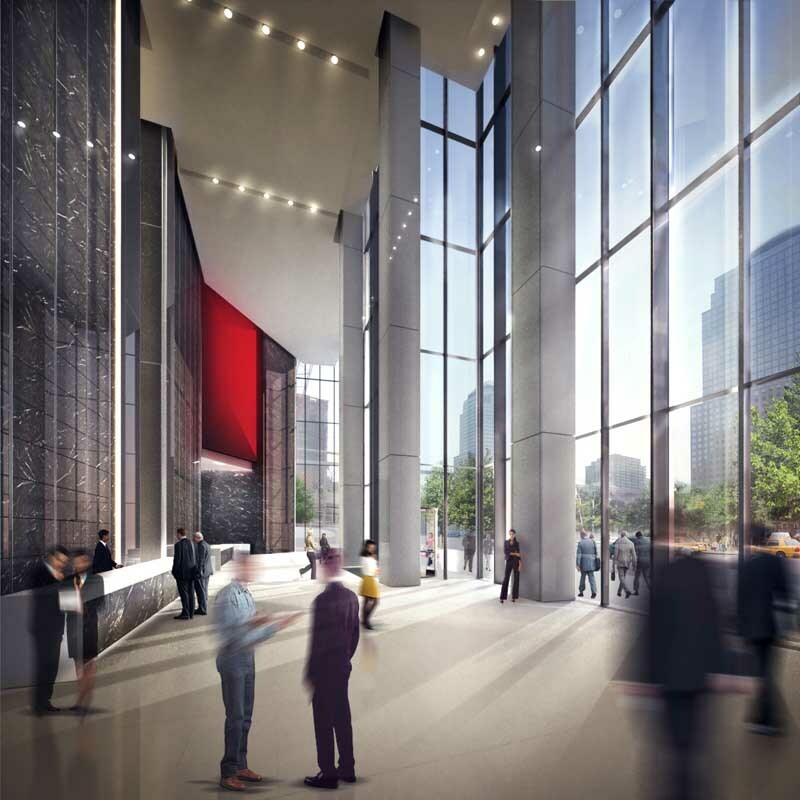 The parties have tapped cutting-edge Danish architect Bjarke Ingels to design the tower, which would have the address of 200 Greenwich St. and rise immediately north of the nearly finished WTC Transportation Hub. 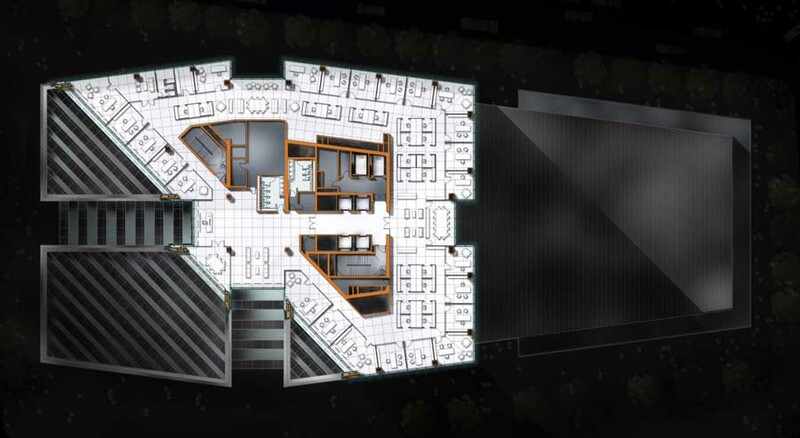 The building would have to accommodate highly specific needs for studios, newsrooms and open floor plans — as well as some 100,000 square feet of shopping space to be controlled by WTC retail operator Westfield. 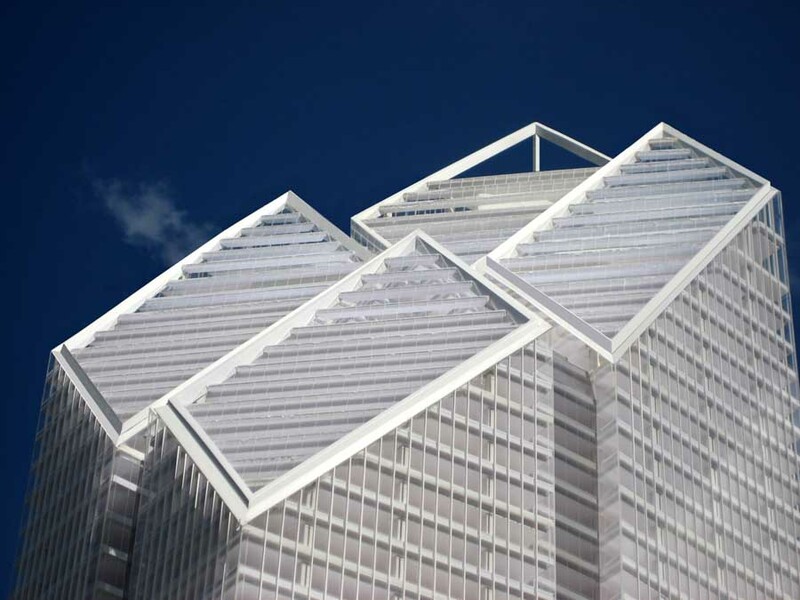 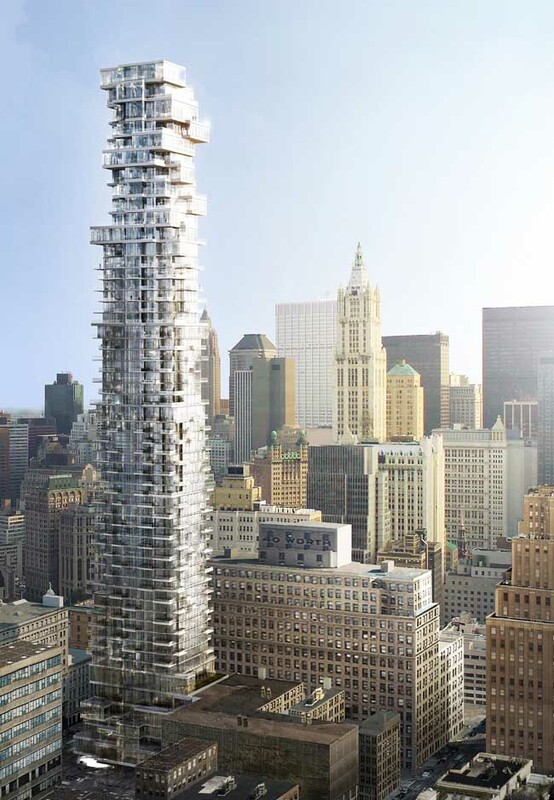 The architect’s Bjarke Ingels Group (BIG) also designed the Durst Organization’s dramatic, pyramidal apartment and retail project on West 57th Street between 11th and 12th avenues. 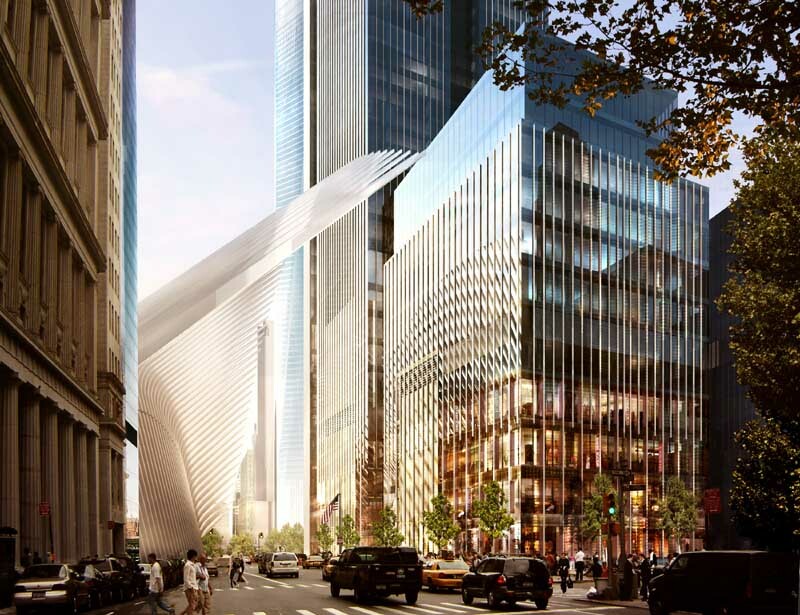 Bjarke Ingels’ 2 WTC design would replace an earlier one for the site by British architect Norman Foster, which was intended mainly for financial firms. 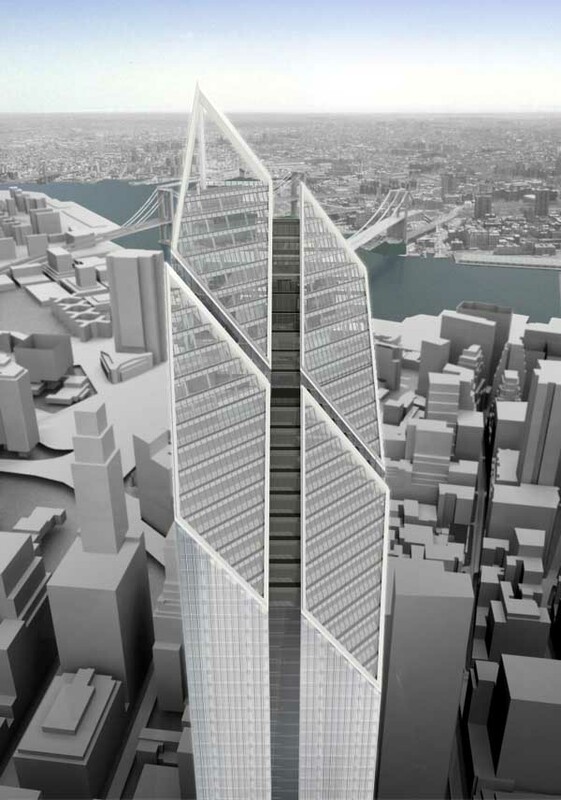 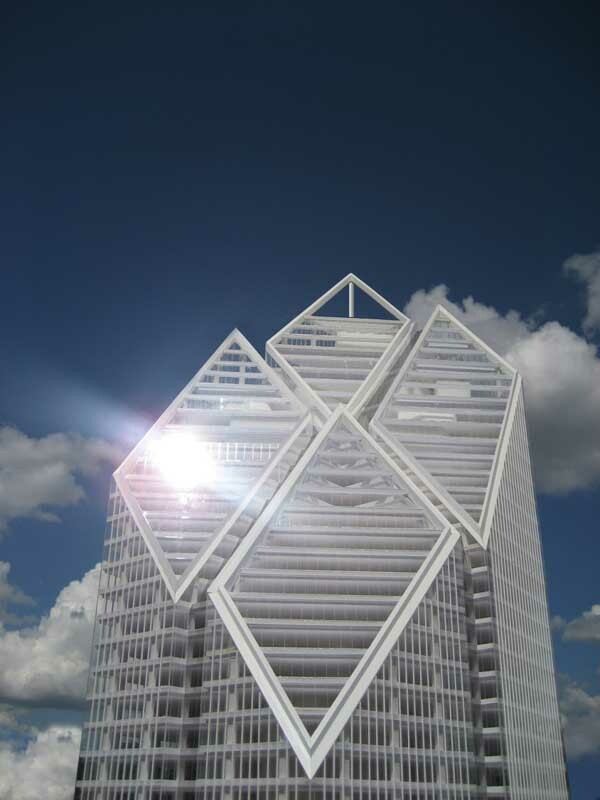 But Ingels’ tower would still fit in with site planner Daniel Libeskind’s original location and height rules. 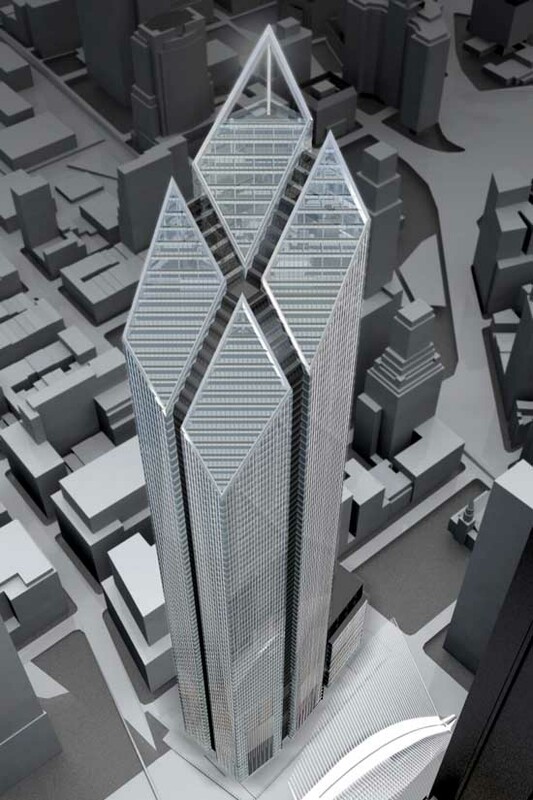 A new report from the Wall Street Journal suggests that BIG may replace Foster + Partners to realize the World Trade Center 2 (WTC2) tower – the final tower planned to be built on Ground Zero. 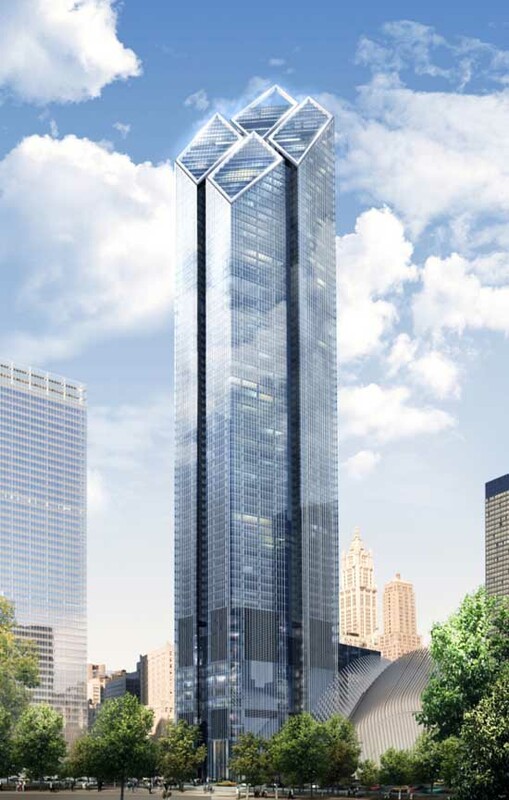 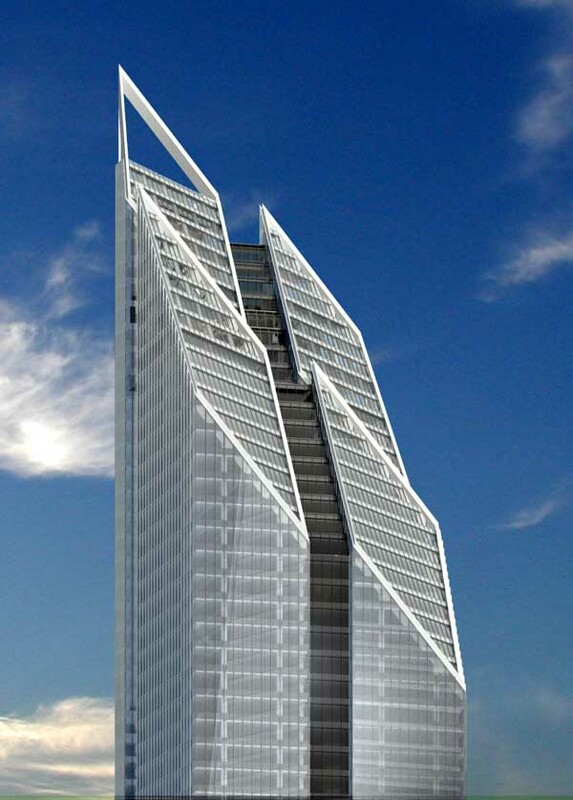 The 79-story tower, designed in 2006, was stalled due to the economic crash of 2008. 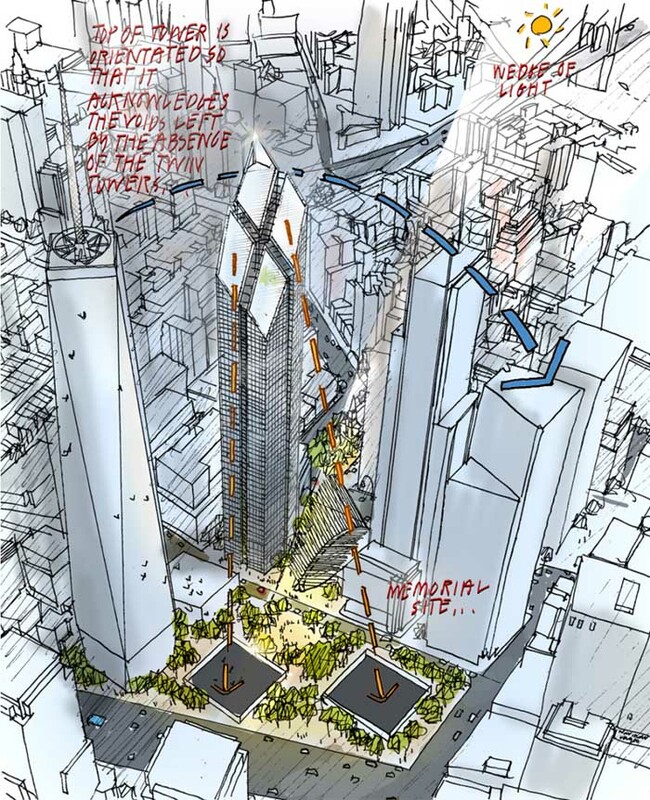 “The final tower planned at the World Trade Center redevelopment could be dramatically altered under a proposal being discussed by 21st Century Fox Inc. and News Corp, which are considering a move to the site, according to people familiar with the talks. 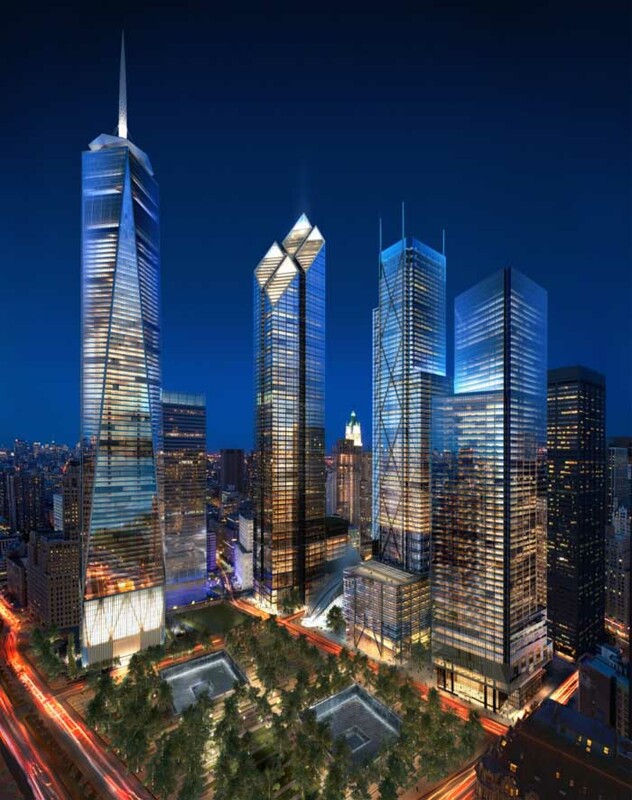 SOM completed 1 World Trade Center in late 2014 and 3 World Trade Center by Richard Rogers is on track to complete in 2017. Two World Trade Center is also known by its street address, 200 Greenwich Street. 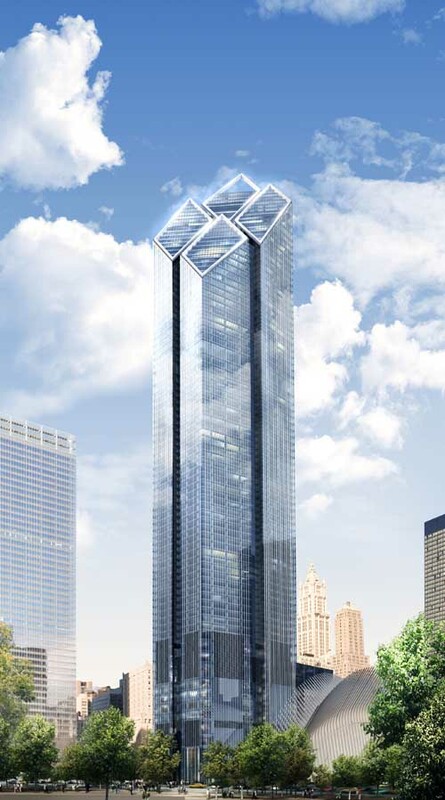 This new Manhattan skyscraper is a new office building on hold and is part of the World Trade Center reconstruction in New York City. 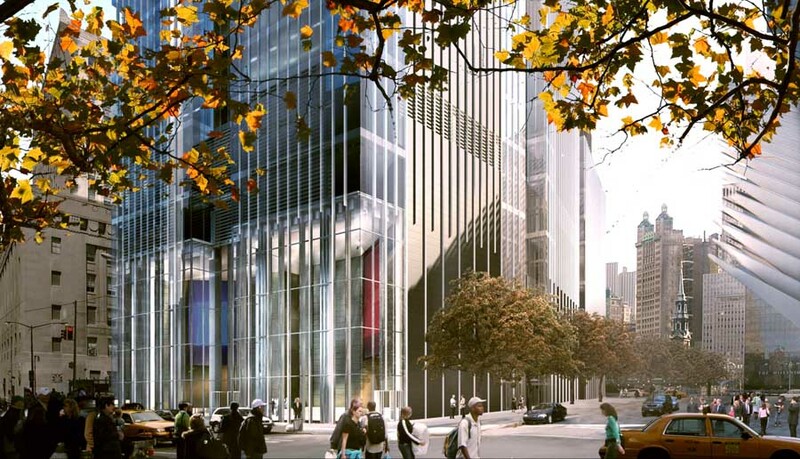 When completed, the WTC Tower 2 will be located on the east side of Greenwich Street, across the street from the original location of the Twin Towers that were destroyed during the September 11, 2001 attacks. 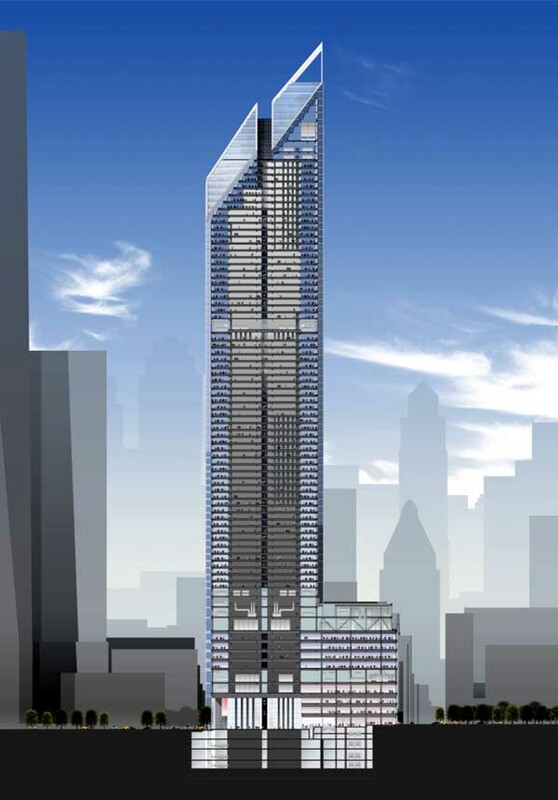 The 79-story WTC Tower 2 building was designed by Foster and Partners. 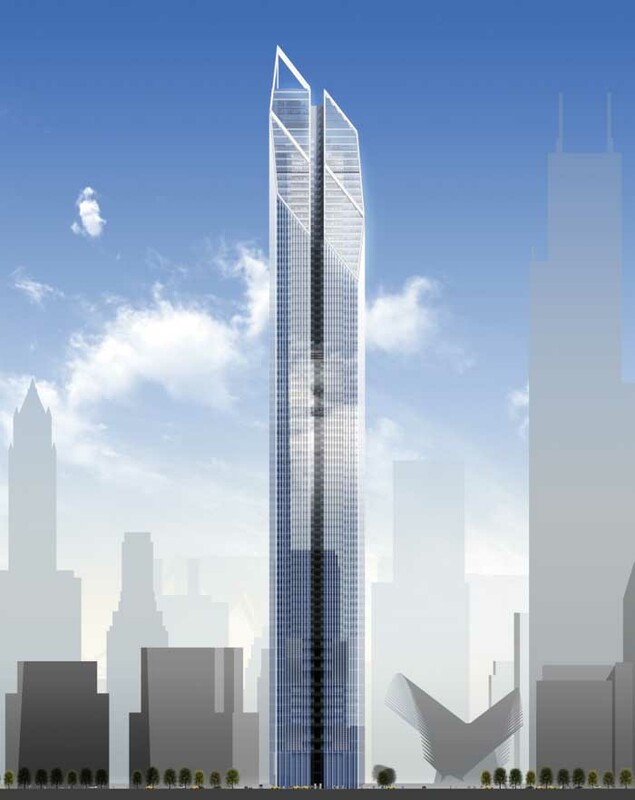 The building will have a height of 1,270 feet (387 m), with an antenna that creates a total height of 1,350 feet (411 m). 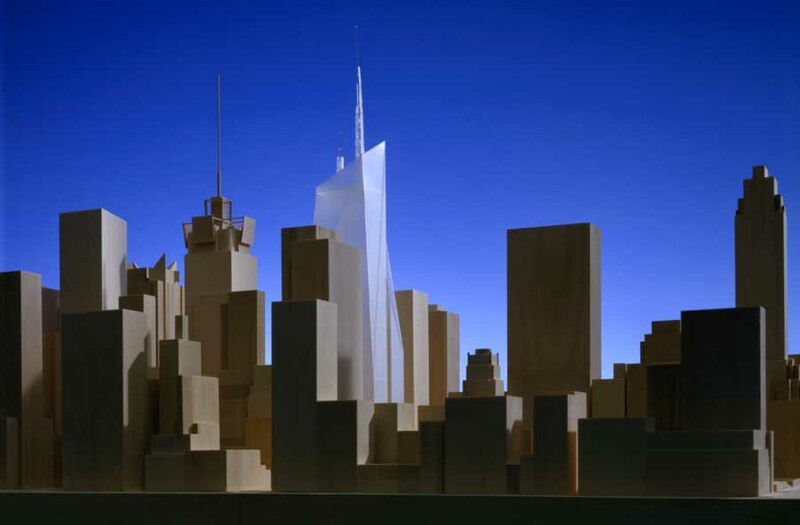 In comparison, the Empire State Building’s roof at the 102nd floor is 1,250 feet (381 m) tall, and its antenna is 1,472 ft (448 m).